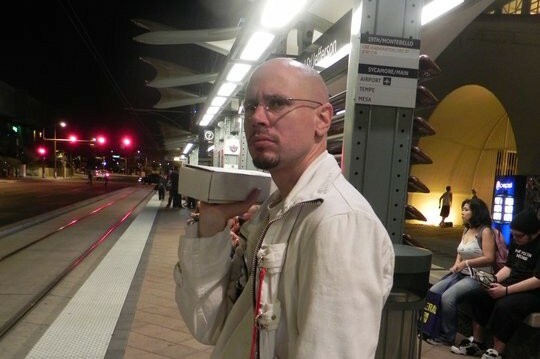 Brent Dill (who goes by the handle Ialdabaoth, and in some cases frustrateddemiurge) abused and sexually assaulted two people I know, Persephone and T. You may find their stories, as well as the story of T’s partner Jonathan, here. I have been friends with T for many years and can vouch for her reliability and the consistency of her story. Many details of both Persephone and T’s stories have been confirmed by people who were present. Documentation, including text message conversations and “slave contracts”, has been shown to trustworthy people. There is at least one other Brent Dill, who lives in Texas, likes basketball, and tweets here. If you are a different Brent Dill who has not abused anyone, I would be happy to include a description or your photo so that you are not mistaken for the abusive Brent Dill. If you are uncertain whether your Brent Dill is the correct Brent Dill, please contact me. I thought for a long time about whether I should post this. I am hesitant to link someone’s legal name and photo to their online accounts; I am aware this may cause him to lose jobs, which in our society may mean hunger or homelessness. However, the rationalist community is not the first community where Brent has abused people. He has shown no sign that he will refrain from abusing in the future. I think that informing future victims is more important, at this point, than protecting Brent’s reputation and employability. Further, Brent Dill’s Google results already include a discussion of his abusiveness. Unfortunately, the discussion is of a sort that, I’m afraid, Brent could easily twist to support his own narrative of persecution. I hope that a factual description of his actions is harder for him to spin as an attack. I also worry about splash damage onto innocent Brent Dills, which I tried to minimize by including a photo of the non-innocent Brent Dill and a description of the innocent Brent Dill I know about. The other discussion also (through no fault of its own) includes no contact person for people who are concerned about Brent’s presence in their community. If Brent Dill is part of your community, or if you or a friend are dating or considering dating him, please email me at ozyfrantz@gmail.com. I can provide corroboration for T and Persephone’s stories that is not available publicly and talk with you about next steps. If you know about a publicly available story of Brent abusing someone or other reliable information about his abusiveness, please post it in the comments here, email me, or email Mittens Cautious, so that future people can make informed decisions.